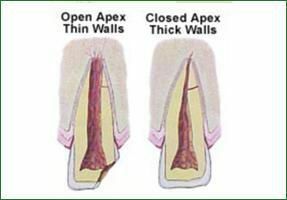 An endodontist specializes in treating cracked teeth by analyzing the type, location, and extent of the damage. Early treatment would ensure that teeth functions and performs as they should for the years to come. Cracks formed inside the enamel of teeth can be of many kinds with different symptoms and prognoses. To decide the perfect solution/treatment, it is necessary to determine the type of fracture. 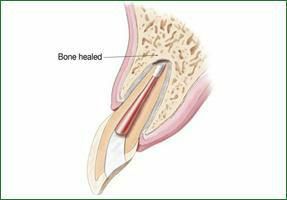 Here are a few types of teeth fractures and the ways of treating it. Craze lines are also known as surface cracks that affect only the outer hard layer of the tooth structure. These cracks don't penetrate deep within and hence don't pose any threat. A broken or fractured cusp of the tooth might pose difficulty while chewing resulting in accumulation of debris and bacteria. 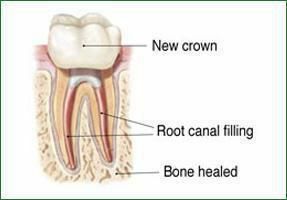 Generally, it is enough to have such cracks restored by crowns; however, in most cases, it is best to approach an endodontist for the same. Cracked teeth generally start from the middle of the cusp and extend inward toward the pulp of the tooth. 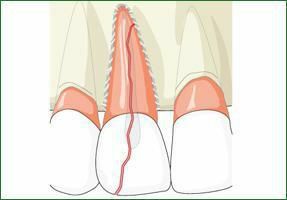 As this can lead to injury of the pulp tissue, it is often recommended to undergo a root canal before restoring the broken tooth with a crown. A split tooth fracture is a condition where the fracture has separated the tooth into segments. Such teeth would require an extraction. Proper diagnosis of the condition can help us understand and implement the best treatment plan for the individual case.